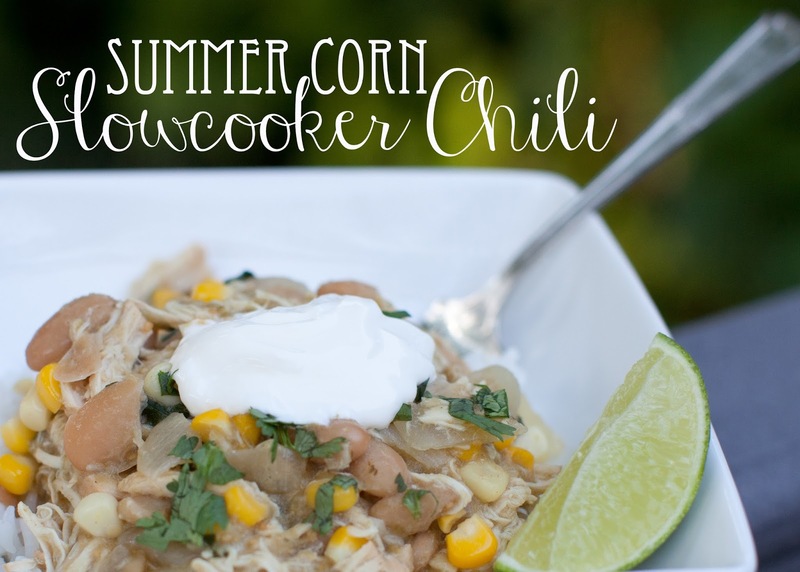 I know crockpots are perfect for cooking warm and hearty winter meals like stews... but, crockpots make even more sense in the summer. No one wants to turn on the oven or stove on a 100 degree day, am I right? This meal is a fantastic summer-type chili that's a breeze to prep, and it's delicious to boot. The chicken ends up all shredded and wonderful from the slowcooker, and it's light but filling at the same time. It's also very easily doubled for a crowd (perfect for when you have a bunch of guests to feed but don't want to be chained to the kitchen). Mix salsa, chicken, beans, onion, garlic, cumin and salt an a large crockpot. Cover and cook on high 5-6 hours or low 8-9 hours. A half hour to one hour before serving, add corn to pot. When ready to serve, shred chicken with a fork and stir in cilantro. Plate with sour cream and lime. Serve over rice or baked potato, or with cornbread. Enjoy! *I like to wait until the end of cooking to put the fresh corn in so it stays a bit crisp, but you can really add it anytime. Also, in non-summer months (or to save a step), frozen corn could easily be swapped in. This looks SO good! I'll have to save this recipe for the next time that I break out the crockpot for dinner. Yum! This sounds so yummy and your pictures make it look even yummier! Yum this looks and sounds delicious! And you're right--I don't know why Crockpots go hand-in-hand in my life with fall, but they do make a whole lot more sense in the summer!!! 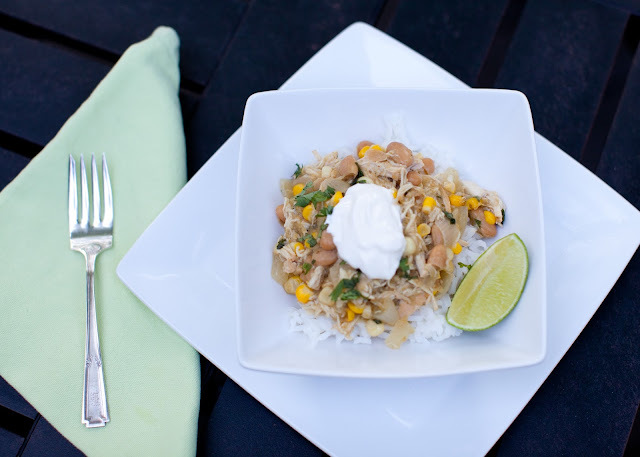 Regardless, this looks fantastic and I'll be adding this recipe to our weekly menu SOON! Thanks for linking up!